Not every bagel is a belly bloater. 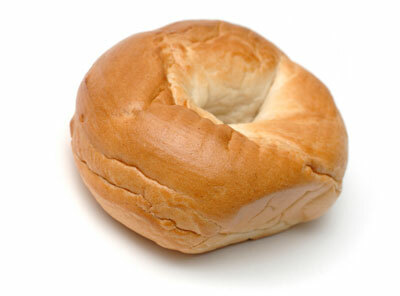 However, the typical bagel is. If you go to the bagel store or a deli, you almost always get a huge bagel made with 100 percent refined flour. Even though it tastes good, that refined flour sets off the cascading events of elevated blood sugar, elevated insulin levels, and increased belly fat storage. It tastes great and is great for you, but cabbage may be tough on your belly! Cabbage is a vegetable known for increasing gas production in the gastrointestinal tract during digestion. And this increased gas production can bloat your belly. Gas-producing vegetables are often easier to digest and break down when cooked well. So if you do have cabbage, choose cooked over raw. 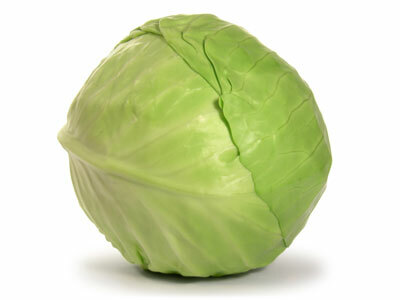 And don’t eat large quantities of cabbage on a day you want your waistline to look as slim and toned as possible. 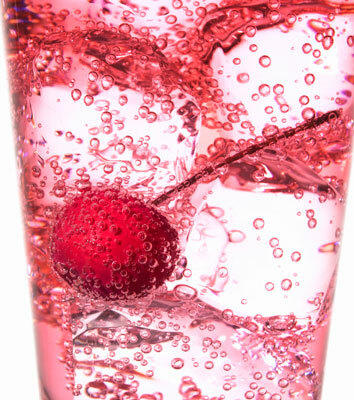 Carbonated water can be quite bloating due to the added carbonation. This bloating is due to the gas from the air blended with the water. The bloating is only temporary, but for one to three hours after drinking carbonated water, you may feel as though your belly has expanded. The carbonation can make your stomach look distended and cause clothing to fit more snuggly around your midsection. Cola can be a huge belly bloater. In addition to the carbonation that increases gas in the stomach (which causes immediate belly bloat), the sugar in cola can make that temporary bloat turn into a permanently larger belly! Depending on the cola, it may contain sugar, corn syrup, or another liquid sweetener. All of these sweeteners have the same long-term effect: increased fat storage right in your abdominal area. High sugar content, especially in liquid form, immediately raises blood sugar, which in turn spikes insulin levels. This elevated insulin level signals your body to begin storing the excess sugar as fat. And, of course, your body places it in the easiest and most convenient location: your belly. Diet soda isn’t the answer. It doesn’t contain sugar, but it still contains carbonation, which is an instant belly bloater. 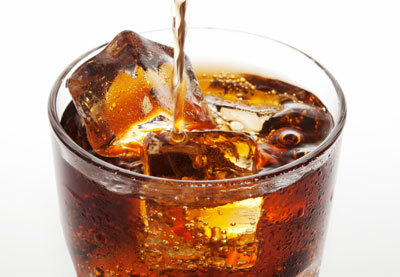 Diet sodas are also packed full of artificial sweeteners. These sweeteners are foreign chemicals to your body, so when they’re consumed in excessive amounts, they may increase inflammation, which in the long run can increase health risks and belly fat. 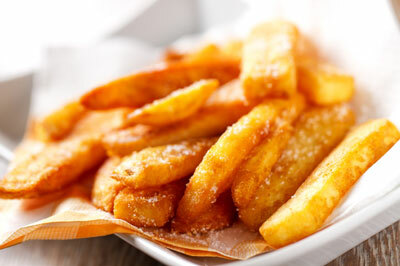 Deep-fried foods, including French fries, can cause you to feel heavy and sluggish because the high levels of fat in these foods slow digestion. Commercially fried foods often contain the most dangerous of all fats: trans fats. These fats in even small amounts have been linked to many negative health effects (such as heart disease). They can also significantly elevate inflammation in your body. Ice cream can be a belly bloater in a couple of ways. First, it contains a large amount of sugar, and food high in sugar causes both blood sugar and insulin levels to rise, resulting in the storage of more belly fat. 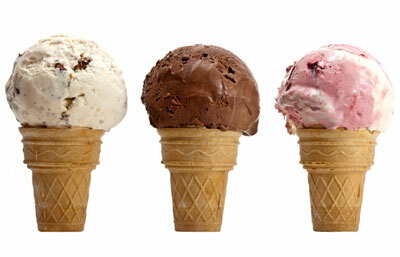 Because ice cream is a milk product, it also contains high levels of lactose, the sugar found in milk. Many individuals have lactose intolerance, which causes them to have trouble breaking down lactose and leads to increased gas production, bloat, and even diarrhea. Extreme temperatures in foods, such as very cold (like ice cream), can also stress the gastrointestinal tract and lead to cramping and bloating. Sausage is a fatty meat that’s loaded with unhealthy saturated fat. This fat clogs arteries and may also increase inflammation, which has a direct link to belly fat storage. Sausage is almost always high in sodium as well. And food high in sodium causes your body to retain water, giving your belly a bloated look and feel. 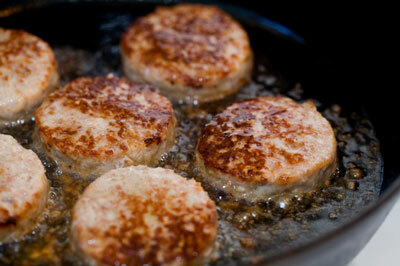 And lastly, don’t forget that sausage, due to its high fat content, is high in calories. So consuming it on a regular basis can lead to weight gain. Sugar alcohols in sugar-free candy and sugar-free gum are sugar substitutes that can only be partially digested by the body. Many times you see these in foods like sugar-free candy, gum, and snacks. They’re often listed as xylitol, sorbitol, and maltitol. Because they’re only partially digested in your body, they provide fewer calories per gram than actual sugar, but they also can cause gastrointestinal side effects, such as bloating, gas, and diarrhea. And all that bloat and gas can cause your abdomen to look distended. So you’re better off avoiding these or consuming them in small quantities to prevent belly bloating. Chewing sugar-free gum also can lead to the swallowing of air. The more air that you swallow, the more this air accumulates in your gastrointestinal tract, which can cause bloating, pressure, and belly expansion. In addition, the sugar alcohols in sugar-free gum have some side effects. They can increase gas and cause bloating, abdominal pain, and even diarrhea. 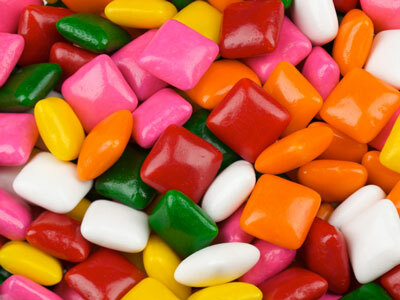 However, gum containing sugar alcohols can have some health benefits, such as helping to prevent dental cavities. It also has no impact on blood sugar and insulin levels due to the low glycemic index of sugar alcohols. 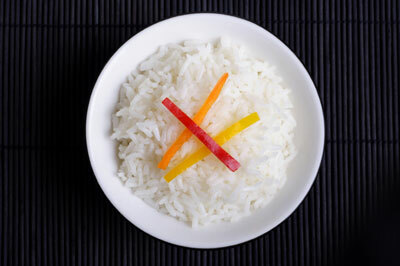 White rice digests rapidly in your body, creating that cascading effect of increased insulin levels, increased fat storage, and an increased waistline over time. Also, as a refined grain, white rice offers a low level of satiety. So you’ll eat it, won’t feel very full, and then eat more. This cycle can lead to an excessive calorie intake and increased weight gain.